"Certainly in light of what we are seeing happening on the ground in Iraq, U.S. military leaders are pushing harder to begin that training," the official told CNN. The idea is being discussed within the U.S. national security agencies and departments, and has not yet been approved by the President or offered to the Iraqis. The U.S. military training would focus on training Iraqi forces to deal with al Qaeda or insurgent elements without unduly harming civilian populations, the official said. I think this is a great idea I would love to train 100 people in counterterrorism and have them Train a thousand people in counterterrorism it's the only way to spread the knowledge that can stop these animals . This is another example of how history repeats itself! The Russians have been doing the same thing in Eastern Europe for over 40 years. the security of their children tomorrow. Your post got me to wondering whether Barack Obama, George W. Bush, Ronald Reagan, Margaret Thatcher, Madeleine Albright and the like will ever meet Ussama bin Laden and Saddam Hussein in Hell or not. All have the same moral standards!!! We've spent $$$ Billions supposedly training Iraqi soldiers over the last 10 years......what a sham !!! They typically defect to our opposition, or stay and can't fight their way out of a wet paper bag !!! 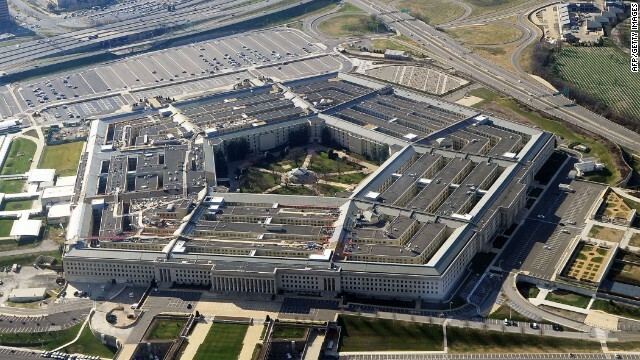 More pentagon schemes for throwing good money after bad. The various Sunni and Shia sects, militants, and militia are gonna fight each other regardless of what we say or do. Time to wake up the camels – fold up the tents – and move OUT !! Americans don't have the stomach to defeat their enemies anymore. look like a day in the park. Quit giving away our secrets! Why the USA supported al maliki from Aldaveh party that is Islamic shia extreme group linked to the Iran?. We offered before and they refused? You reap what you sow. We should only do this is they pay us handsomely. No taxpayer dollars expended. This is idiocy. We tried to train them in counterterrorism for 8 years and look what happened. The Iraqis need to sort out their own issues (which prevent internal departments from crosstalking) before any "training" can seriously be considered. We can't afford the pentagon making these decisions. They work for us not us for them . Lets have them listen to us . We cannot train them in Iraq because VP Joe Biden was too incompetent as a negotiator to get a status of forces agreement. He staked his reelection on it but still ran anyway. Didn't the USA spend 7 years or so training Iraqi security forces before we pulled our troops out? Not very successful the first time, why do we think we'll be more successful this time around? Oh goody, we trained, Osama, Hussan and Gadofi. That worked out just swell. Why cant you people learn ??? Either go in and neutralize the problem or just stay out (my preference). US must train the Iraqi, Syrian, Egyptian, and Iranian forces to fight Islamic terrorism. It is not over job. Quite true kebcarerra, quite true indeed. By the way, don't pay any attention to the post above since I never posted it in the first place. That's Phunnie boy just trying to get his kicks in by mimicking me. He must be a Tea Partier envious of my intelligence or just trying to be funny! This will drive the Obama drones crazy if he does this. This is another example of how history repeats itself! The Russians have been doing the same thing in Eastern Europe for over 40 years. This is really another way for us to continue our obscene occupation of Iraq and nothing else!!! I don't see any connection. We don't want to be in iraq. And because we withdrew it opened it up to aq to re-take it. So we have two choices go in and face stomp them , again, or train iraqis to do so and equip them to do so with minimal losses. If we dont reinforce iraqis now, we will brew a bigger longer term problem than if we support them now to stomp it out. Like I said before Random, the only sensible solution to this problem is to split Iraq into three different states since the hatred between the Sunnis and the Shiites knows no end. As long as Iraq remains "united", this bloodshed will only continue. Moreover, if we didn't want to be in Iraq as you stated above, then why did we invade it in the first place? Nobody ever takes over another country unless they want it!!! Considers? By the time you get off your butts and do something it will be to late. We are talking 8-12 hours to respond, from when the tipping point is reached. This was a week ago almost. Get your a$$3$ in gear. Define Obamas strategy in one word. I will start.